We have set up our operations such that our firm handles each case like a well oil machine. We also have a team member assigned to handle each stage of your case following our client influenced, “10- steps to excellence” protocol. With our online client case portal, you can communicate directly with all staff members working on your case anytime of the day. Our system is accessible 24/7. We allow our clients to see everything in their case from intake to closeout so that they are fully informed of our work product and what’s going on in their case. One of our daily affirmations is that we get better with each client. We encourage feedback, “good and bad” not only during the client-service relationship but at the close, so that we can improve our operations for excellent client satisfaction. Because of this, our procedures are one of a kind which has kept our clients referring us to many other injured victims. A full welcome kit from our firm which includes your client handbook so you will understand how we work and what’s to be expected from us and from you, as well as some of our free injury resources such as our injury guide, tip sheets, and more information to help you because knowledge is power. NOT READY, I JUST WANT MY FREE CASE ASSESEMENT! I leave no stone unturned in maximizing every opportunity get compensation for your injuries. I’M NOT READY, I JUST WANT MY FREE CASE ASSESSMENT! I’M READY TO SIGN UP AND GO! Waiting too long can risk diminishing the strong value to your case. The best time to act on your case is now. When you wait, you risk many things which can happen to the evidence in your case. Evidence can lost, tainted with or event destroyed!! You also have a duty to mitigate your damages. This means for example if you have car in the storage that has been towed, it is likely that you are accruing storage fees. You have a certain amount of time to do something in order to mitigate your damages, if you don’t then you can be held responsible for these damages and the insurance company may not have to pay. By signing up now, it cost you nothing up front. You are here because you are searching for answers, and we have solutions to help you. You can also upload your important information into our portal as well. 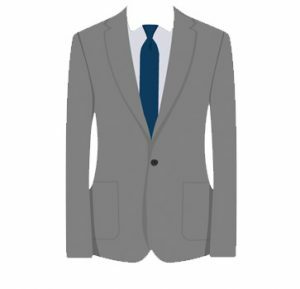 It costs you no upfront fees to answer some questions and click a button to get your case started. At the very least you get a free case evaluation for your legal matter. This is for you so ACT NOW because time is of the essence. Our process has been carefully evaluated and developed. With that being said, we are not sure how long we will offer this program because it’s the first of its kind. Therefore, we accept only a certain number of cases each year. Our questions are designed for you answer with some pre-qualifying criteria for which we can accept your case. We know what are operations can hold and we take pride in offering each one of our clients the same level of service no matter the injury big or small because your rights matter. Once, you click the sign up and go you will be lead through a series of direct questions designed to determined if we can accept your case. These questions are thorough, therefore please take the time to answer them. You will also upload all of your evidence you have, this includes police reports, pictures, medical information, witnesses’ information and all other information you may have. Once you complete all the questions pertaining to your case, you will receive a confirmation email stating, welcome to Roxell Richards Law Firm if you case qualifies and is accepted by us instantly. Sign you contract with us instantaneously as well. You will receive a following up phone call and/or email and/or text message from our intake department as well confirming the above within 24 hours. If you don’t qualify, no worries, you will still receive a confirmation email. We will also speak with you and give you your free case assessment and tell you why. You will also still receive our free bonuses and will be invited to take part in our free community initiatives we have each month that we have in collaboration with other lawyers from a variety of practice areas, not including personal injury. If you will allow me to be honest, you may have doubts. You have not heard me on the radio stations or seen my picture plastered on all the Houston billboards, (no puns intended ), I have so much respect for my peer lawyers and there is a reason. The answer to this is simple, I believe that great lawyers don’t have to advertise and I’d rather spending the company budget on keeping our current clients happy and advancing our operations, continuing legal education and focusing on developing innovative strategies to win. On the other hand, you may be unsure because you don’t know if this is right for you. Well that’s fine as well. However, it costs you nothing to sign up right now! However what I can promise is this….If you decide after signing up with us within 30 days that you no longer want our representation, we will peacefully release ourselves from your case with NO LIENS. YEP YOU HEAR IT FIRST…Why…because, this is not about the money but about YOU and seeking justice for you. FREQUENTLY ASKED QUESTIONS ABOUT THIS SERVICE…. If you still have questions about this program, no problem. Please read the questions below. We have tried to answer some of the most common questions for you. What should I do after I suffer an injury? If you are hurt in an accident, the first thing you should do is seek medical help. Seek medical treatment as soon as possible, and address any immediate medical needs and emergencies. 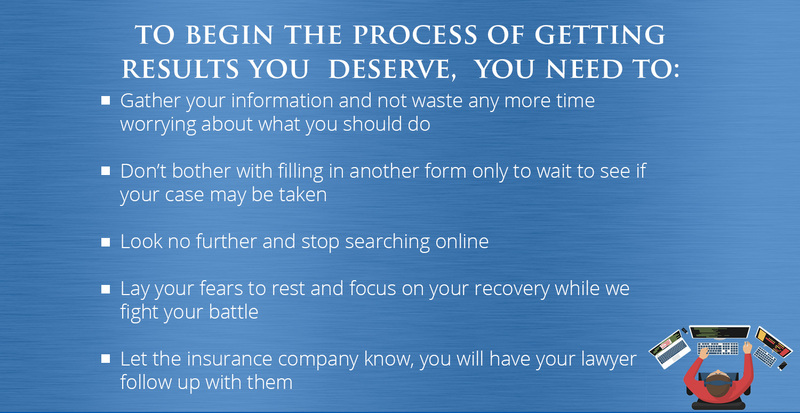 After you are well, you should seek legal advice from a competent injury attorney. It is imperative that personal injury cases are investigated quickly. Delay can cause evidence to be lost or allow insurance companies or the negligible party to take advantage of you. The quicker you consult a personal injury attorney, the quicker you can be compensated for your losses. If I am injured, does that mean I need an attorney? There is no law that says you must hire an attorney on your case. However, if you do not, you will be considered “pro se” and will be held to the same standard as any other attorney. This means that you will have to know the same statutes, rules and procedures that any other attorney must know. It does not hurt to have an extra pair of eyes to help with your case, especially someone who has the legal knowledge required in understand how to navigate through the legal language and justice system. Therefore, it is recommended to have an attorney to protect your interests and fight for any damages from your accident. If you have been seriously injured and the other party or insurance company is not offering proper compensation for your injuries, hiring a personal injury lawyer is the suggested way to properly and swiftly get the money you deserve. A free consultation with Roxell Richards and Associates can determine your best course of action after an injury. How much will an attorney cost? How do I pay for an attorney? 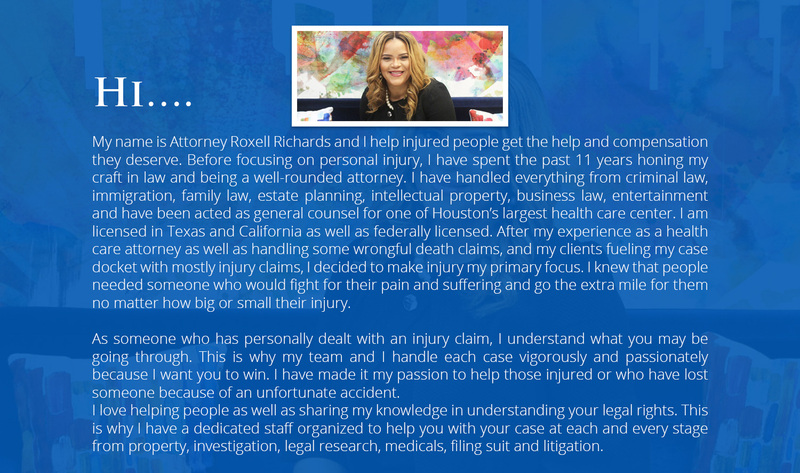 Most personal injury cases and here at the law firm of Roxell Richards, we handle cases on what’s called a contingency agreement. This usually means that the fee for services usually will not get paid until after your case is favorably resolved on your behalf. Additionally, your case expenses including medical expenses and all other expenses that your lawyers has to pay would be deducted as from your recovery amount as well. What if I am contacted by an insurance company or the police? You should never discuss the details of your injury, how, or why you were injured until you have consulted with an attorney. Any documents you sign, statements you make, or settlements you agree to before meeting with an attorney, can only negatively affect your ability to earn full compensation for your damages. Insurance company is not your friend, what you say will be used against you. If you need help on what you should say or would like us to be your voice, please contact us today. What are my rights after I’ve been hurt? If someone else’s negligence caused you to be hurt, you deserve compensation for all injuries and damages. Your rights matter. Depending on the facts, you may be entitled to more compensation than you think. This is why you need a competent injury attorney to assist you with your case. 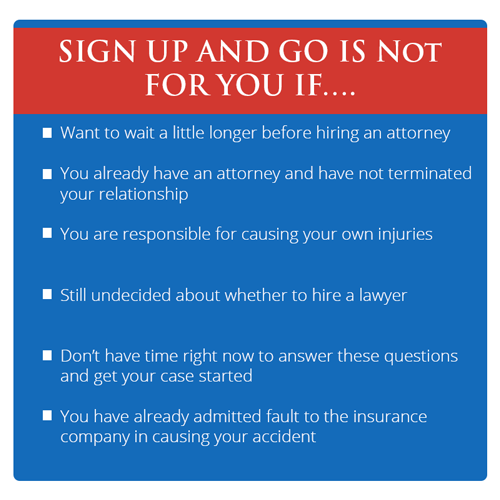 As you may know by now, each personal injury case is unique. Until your case has been fully investigated, evidence evaluated and gathered and analysed, do not trust anyone who may tell you the value of your potential case. No one can tell you the value of your case and if they do RUN. Full compensation of damages can include medical bills, mental suffering, pain and suffering, loss of ability to enjoy life, and missed time from work. However, if you need getting a start on your what’s included in the value of your case, please use our personal injury calculator now. Click here now. Surprisingly, the majority of cases never reach trial. Roxell Richards and Associates are skillful negotiators and have years of experiences making favorable settlements for our clients. However, if a settlement is not fair to our clients, we can press the opposition in trial. A free consultation can give you a better picture of whether or not your case will go to trial. It is hard to know how long any case will last off the bat. There is general timetable established for personal injury cases. However, most cases will be settled in a matter of months and could years. Each case is different on the each case because the facts control on what happens and how your legal strategy will play out. How long do I have to file my injury claim? Generally speaking each case has a certain time to perfect its claim in a court of law. Generally here in Texas, the statute of limitations on a accident claim is two years. However, do not delay because the longer you delay your case, the more you can cause the value of the case to be diminished because case investigation and evidence gathering is important in your case. This will have an effect on the total case value on your case. 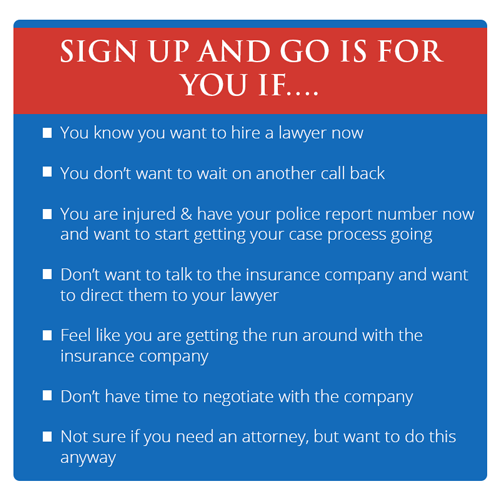 Act now and call an injury attorney to help you. What if I have another attorney. Can I get another attorney? If you have an attorney and you are not satisfied with your attorney, you can terminate your relationship. However, you should speak with your attorney and communicate any concerns you may have. If these issues cannot be resolved, you should send them a letter in writing terminating your relationship. However, please note your attorney could be entitled to a lien and may file a lien on your case which means that you would have pay them from any recovery your future attorney may obtain for you. Therefore, it is recommended before you terminate your relationship, find out if your attorney will retain a lien on your case. Here at the Roxell Richards Law firm, we have a “no-lien guarantee” which means that if you are not satisfied with your service and terminate your relationship with us within 30 days after you sign up, we will not file a lien your case for your contracted fee. 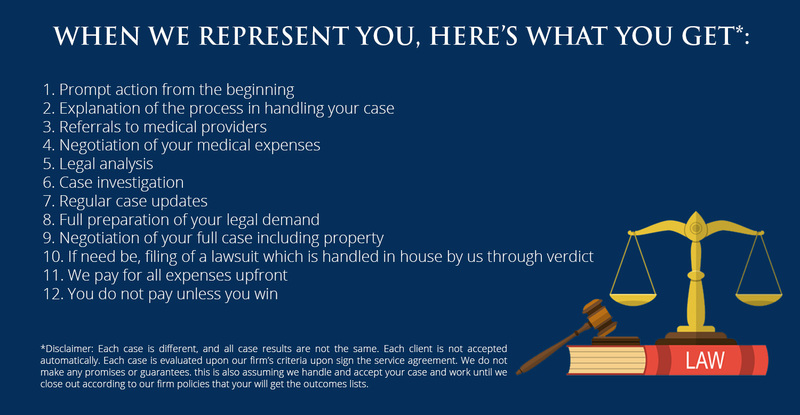 Call us today to help get started on your case. If you or some you know has been injured, and have questions that I have not covered or you just have a questions in general, no problem! I want you to make the best informed decision for yourself or your loved one. Just email us at intake@roxellrichards.com and I’ll get back to you within 24 hours.